All Safe Skies® TSA Luggage Locks have a lifetime warranty and a hassle-free replacement policy. Quickest TSA lock shipping in the industry. Most orders ship within 24 hours. It is our pleasure to preset the combination on your TSA Lock to any secure code you would like (Optional at Checkout). Get this luggage tag and luggage grip with our compliments when you order over $49.99! 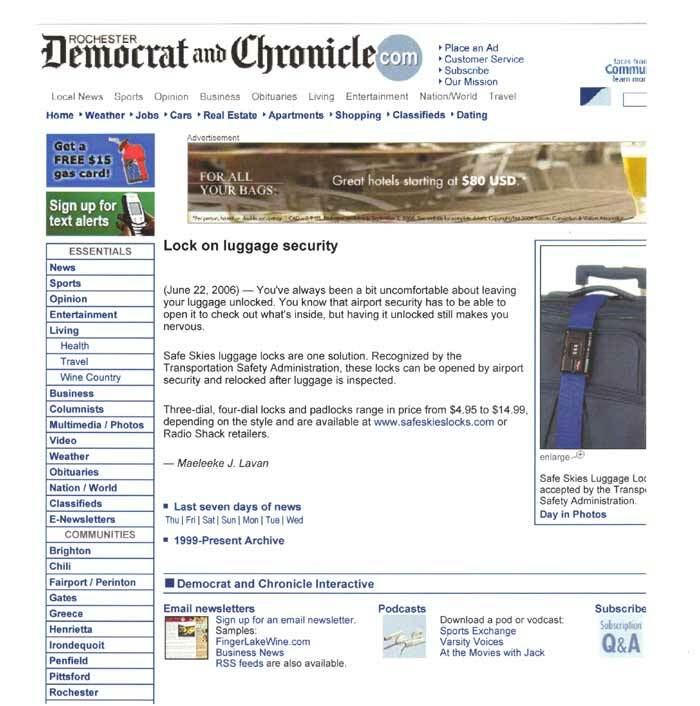 Protected by US Patents # 7,021,537 and 7,036,728 and 8,145,576 and 9,879,447 the Safe Skies™ TSA Luggage Lock is theluggage lock accepted and recognized for use by the United States Transportation Security Administration and by Her Majesty's Revenue and Customs in the United Kingdom. 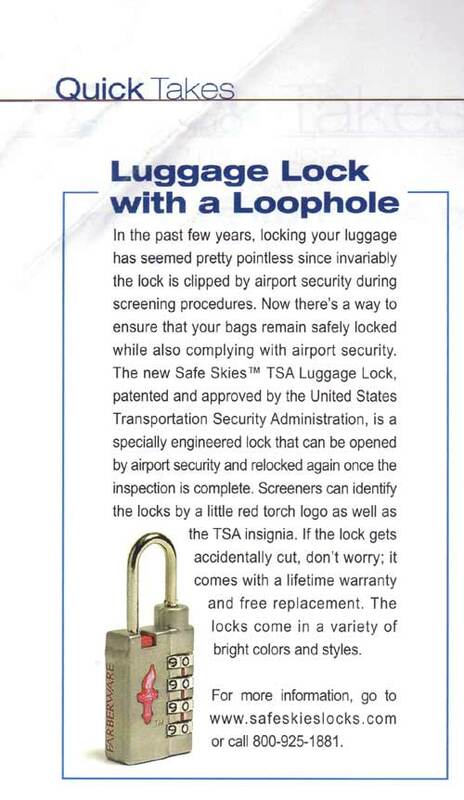 The valuable technology behind the TSA Lock is proprietary to Safe Skies™ TSA Locks. If your luggage is secured with a normal luggage lock, airport security will clip the luggage lock. 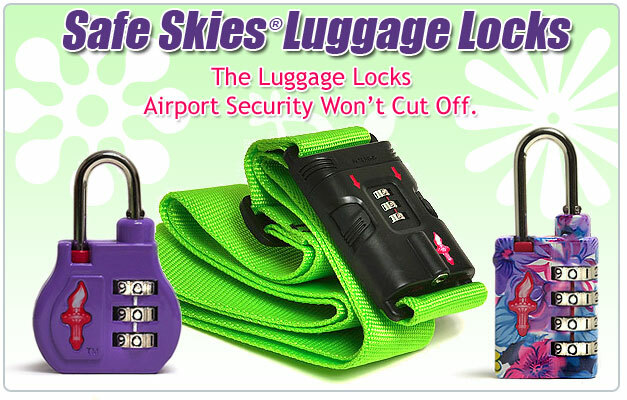 If your luggage is secured with a Safe Skies™ TSA Lock, your luggage lock will not be clipped. Your Safe Skies™ TSA Lock will be re-locked once the security inspection is complete. The Safe Skies™ TSA lock is the luggage lock for the global traveler. In the rare event that a Safe Skies™ TSA Lock is clipped, there is no need to worry, our TSA Lock is covered by our lifetime warranty and hassle-free replacement policy. We will replace your TSA Lock.